Full deluxe breakfasts served on the deck overlooking both championship golf courses. Nestled in the heart of the beautiful Okanagan Valley, our Tuscany designed home offers a peaceful get-a-way. 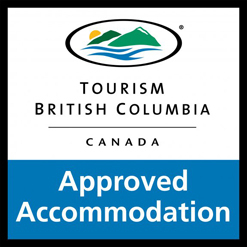 We are centrally located near the Kelowna International Airport, The University of British Columbia/Okanagan, lakes and ski hills. 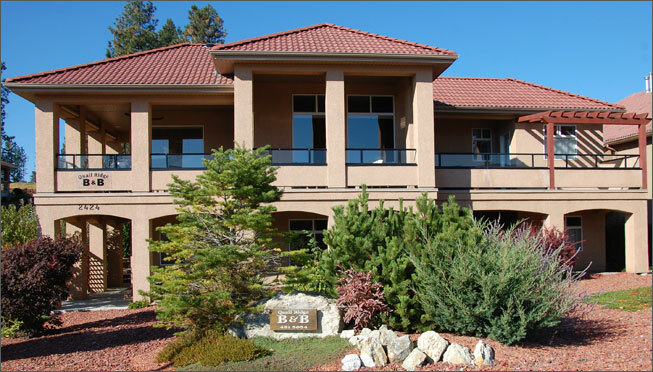 The Bed and Breakfast overlooks the Bear and Quail Courses of the Okanagan Golf Club and is near many other spectacular golf courses. While here, visit many of the world class wineries in the vicinity, all within a 30 minute drive. This is an ideal destination for couples going on vacation. An additional $10 housekeeping fee with be charged for a one night stay. Cancellation policy: 10 day cancellation notice for full refund. 1 night stay deposit required for cancellations within 10 days. For a long weekend there is a 30 day cancellation policy.